Now this mangling of the old songs and poems of the Rig Veda was carried out with a clear and definite purpose: to provide the liturgy of a complicated sacrificial ritual, the ceremonies of which were carried out by the Brahminical priesthood. In virtue of their position as masters of the ceremonies, the Brahmins gradually gained for themselves a whole series of powers and privileges which are set forth to their best advantage in the Code of Manu, where the Brahmins are declared to be a little higher than the gods. “Have you received instruction?” continued the King. “I have been taught by my father,” Svetaketu replied. “Do you know how they come back to this world again?” the King continued. “This also I do not know!” Svetaketu confessed, and, profoundly humiliated, ran away to his father. To return to Svetaketu. His father, Uddalaka Aruna’s son, bore Svetaketu’s reproaches meekly, and set off himself to the Rajput Sage to learn the answer to the five questions. And the story of what then took place, as recorded in both Upanishads,—the Brhad-Aranyaka and Chhândogya,—is very remarkable. The Brahmin was courteously received by the Rajput, water was brought, and the guest was offered a wish, after the ancient custom which finds an echo in the book of Esther, and the story of Herodias. The Brahmin thanked him, and chose as his wish the answer of the five questions that his son Svetaketu had been so humiliated by. In both cases, the questioner stood firm, and resisted the offer of gold and elephants and horses and slave-girls. Then the Brahmin formally offered himself as the Rajput’s pupil, and was accepted, but with this protest. And these metaphysics, the learned scholar might have added, were supplied as a free gift by their rivals, the Rajputs, if we are to believe the record before us, for the authenticity of which Rajendralala Mitra so powerfully argues. It is worth while, turning back to the five questions again, to examine them, and to see clearly what metaphysics are implied by them. Svetaketu is asked about the fate of those who go forth from this mortal coil, and how they return again and again to this world. Of all this he is ignorant, and, as a typical Brahmin, confesses his ignorance. In other words, he, as a Brahmin, was ignorant of the idea of re-birth. the doctrine of re-incarnation, which was well known to his Rajput questioner, and had been,—this Rajput affirms,—among all peoples the teaching of the Kshatriya alone. The other questions merely strengthen and continue this idea. Svetaketu is asked about the divine path,—that is, the paths of liberation, or Nirvana; and about the path of the fathers,—the sensuous Paradise from which, after a period, men are re-born into the world; and of these too, he, the Brahmin, is ignorant. In other words, these five questions imply the whole doctrine of divinity and liberation with its corollary of repeated re-births, pending final perfection and liberation. 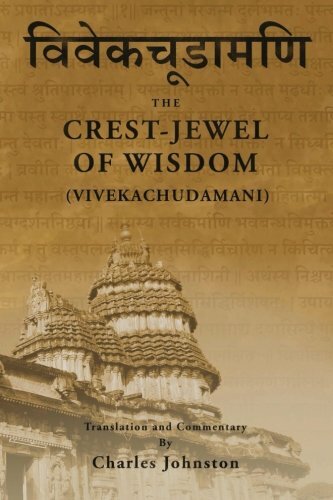 And this very doctrine, this piercing intention of life, the very head and crown of Indian wisdom, the soul of the Vedanta, the essence of the doctrine of Buddha, was the teaching of the Rajput Sages, and not of the Brahmin ritualists at all. If we are to give honour where honour is due, in the matter of Indian wisdom, then the significance of this story of the Rajput Sage cannot well be exaggerated.